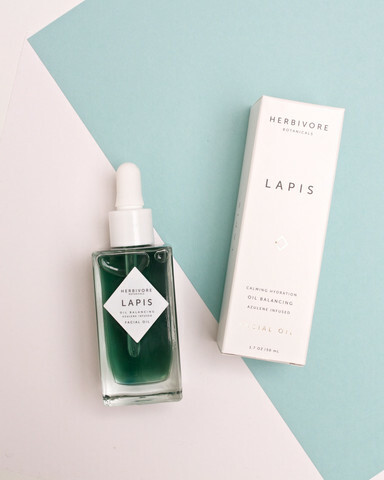 Herbivore Botanicals hand-makes all of their products and everything is 100% natural and free of any artificial dyes, preservatives, fragrances, and anything synthetic. What’s not to love?! Nothing excites me more than finding a company that makes products that are functional, beautiful, AND sustainable; they’ve hit the trifecta. So let me give you a little background info on my face. I have combination Irish and Japanese skin. That means I have large pores, an oily t-zone, and the strange ability to still be dry and flaky while slick like a slip ‘n slide. It’s been a pretty rough ride ever since puberty. I had previously been using Lush’s 9 to 5 Cleansing Lotion and their Enzymion Facial Lotion with alright results. You can find a more detailed review of my experience with these products here. This review is after 2 weeks of use, 2x a day. I. AM. IN. LOVE. It’s made up of saponified oils which gives you a great lather and 2 clays to get you a really deep clean. Oh and it also COMPLETELY purifies your face, as in I had a full face of make-up on and it removed every trace of it. Incredible. I’ve also found that it has made my skin texture ultra smooth and it is performing a disappearing act on my pores! Seriously, I’ve tried items like Clinique’s Pore Refining Correcting Serum and this soap has done a 10x better job than that stuff ever did! And at $12 it’s a STEAL. This bar is going to last at least 2 months if not longer! The only issue I’ve had so far is that is has made my nose and the area around my mouth a little dry/flaky. I’m accounting this to my skin adjusting to the new regimen, and it’s nothing that a little extra moisturizer or exfoliation hasn’t fixed. 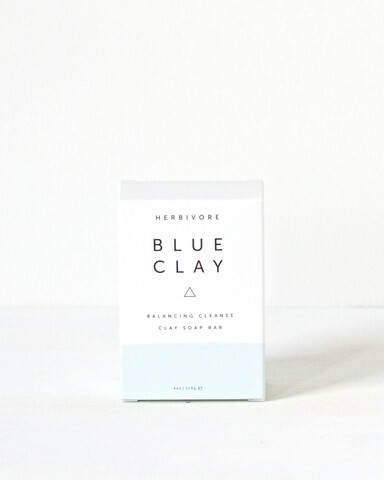 Herbivore also makes this soap in a Bamboo Charcoal (super deep clean) and also a Pink Clay (more moisturizing) version. Let me start with the packaging is ULTRA LUXE. The bottle is nice and heavy and the dropper allows you to get as much oil as you need without contaminating the rest of the product. And, the gorgeous blue color from the Blue Yarrow and Blue Tansy make this a product I want to display front and center in my bathroom. Using a facial oil when you already have oily skin seems counterintuitive, but I have officially become a convert. This stuff is not greasy in the slightest and absorbs really quickly. It calms any redness I may have from picking my face (I know it’s a bad habit but I think I can safely say that this is a guilty pleasure for most of us) and I have had far fewer breakouts since beginning this regimen. Any zits that I do get now are really short lived and heal super quickly. BONUS: it has smoothed out my complexion and the fine lines on my forehead and my neck have been noticeably reduced! I really love that with the dropper you can adjust how much oil you use. I use about 8-10 drops for my entire face and neck and again this bottle is going to last a long time! It is a bit pricier at $72 a bottle, but I’m justifying the splurge with how inexpensive the cleanser is and how long these products are going to last! There you have it! Two products that I may ACTUALLY stick to for the long-run! (That’s saying a lot for a product junkie like me.) After seeing results like this after just 2 weeks I can’t wait to see how it transforms my skin in another month! 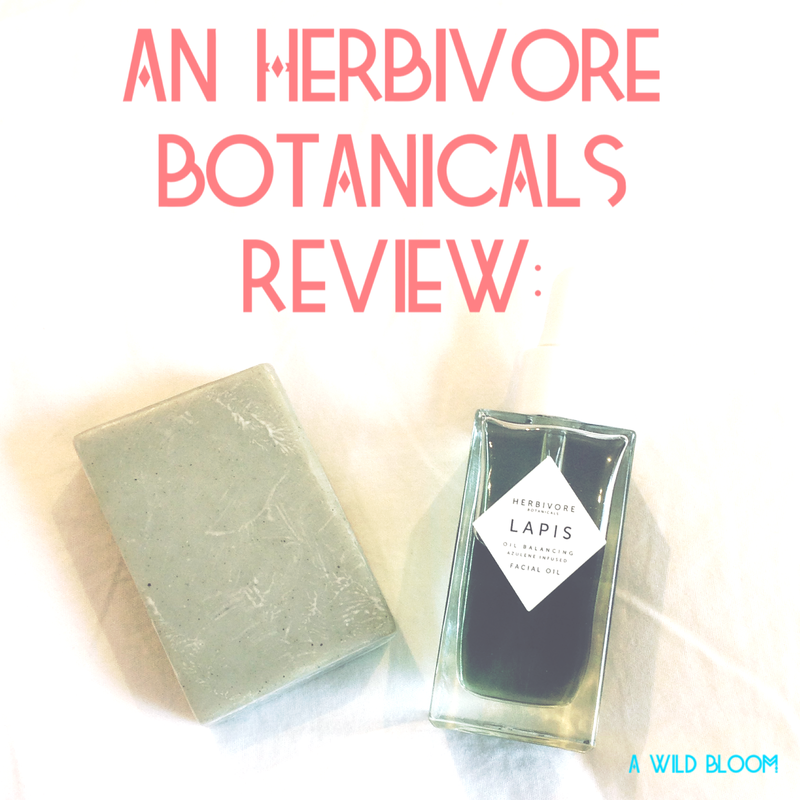 Posted on May 29, 2015 by andrewholmesdance	This entry was posted in Beauty and tagged Blue, Botanicals, clay, Facial, Herbivore, Lapis, oil, Review. Bookmark the permalink.